Before streetwear made a splash in the fashion scene, donning a hoodie, and an oversized one at that, was only acceptable during concerts and college games. 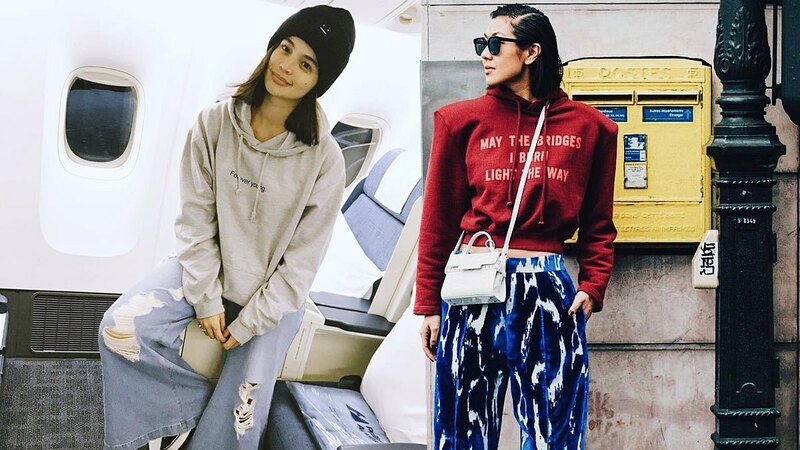 But thanks to cool girls like Kendall Jenner and the Hadid sisters, the hoodie has easily established itself as a wardrobe must-have. Not sure how to take your hoodie game from collegiate to fashion-forward? Scroll down and let us do the legwork for you. Give an instant dose of badass nineties fashion to your hoodie by adding shoulder pads to the equation! The old Taylor Swift may be dead, but her love for anything sparkly lives on. Like Tay, wear a sequined hoodie with a pair of sleek black shorts to keep your OOTD balanced. Own street style with ease and take a page from Sophia Andres’ black and khaki pairing. Curl your hair into tiny ringlets for an extra dose of retro. Statement boots are an easy way to dress up any outfit, including a basic black hoodie. Sometimes all you need to go with your oversized hoodie are oversized denims and a cool beanie. Not sure what to wear? Grab an oversized hoodie and wear it as a dress! Plus points if you pick a bright color like Sofia Richie’s orange number. Not bold enough to wear a loud orange hoodie? Opt for a darker version and go for tangerine lids instead! Keep your hoodie game sleek with an all-white uniform. Complete the look with a pair of white hoops and strong heels, and pack a fashionable punch Riri-style.